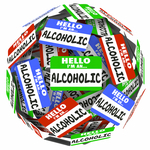 It can be easy to get in the habit of going to the same recovery meetings every week. This is, in many ways a good thing. One’s connection to the fellowship is of the utmost importance. It’s paramount that you establish or form a circle of peers that you can rely on when life throws you a curve ball. Recovery is a program that requires us to all lean on each other from time to time. If you are constantly going to a different meeting every day, it can be hard to form strong bonds with your peers. The value of a “home group” cannot be understated. There may be weeks where it is hard for you to attend a meeting every day. But being sure to get to your home group at least once a week is vital to the strength of your program. If you are still new, and do not have a meeting that you consider your home group, that is OK. However, you should be actively trying to whittle down the various meetings you attend to find one that suits your recovery palate. Having a home group is kind of like having an extended family. People who may not know you inside and out, but have a vested interest in your health. And in Our case, an interest in continued recovery. The relationships that can be built in one’s home group can last a lifetime. Your home group should always be your "go-to." It is likely your sponsor's home meeting, as well. Which means even when your life is busy, there is a good chance that you can get some one-on-one time with your sponsor. Either before, or after the meeting. This is an extra level of accountability. If you do not ever see your sponsor, you may not feel inclined to share as much as you might while in their presence. What’s more, given that sharing in early recovery can be a little nerve racking, you might gain some courage from sharing in the company of your sponsor. To be sure, your home group is your most important meeting of the week. But as the weeks turn into years (god willing), you may find that the meetings you go to are feeling a little stagnant. Fortunately, there are typically scores of meetings every day in a given area. You might consider broadening your horizons and visiting some meeting you have never been to before. Doing so will put you in a position to hear new stories and meet new people. If you share at a new meeting, you might say something that resonates with a newcomer. You never know. A sponsorship could arise out of you visiting a foreign 12-Step meeting. Every meeting is little different than the next, you might be exposed to different things that appeal to you more than some of your other weekly meetings. If you are feeling lackluster about certain meetings, change it up. Step outside your comfort zone. If you are still using drugs and alcohol, and are ready to make some changes for the better, then you might need more help (initially) than meetings can offer. Please contact Hope by The Sea, it is the first step to lasting addiction recovery.